Welcome to the official site of Melanoma Action and Support Scotland (MASScot). MASScot aims to support people who have been diagnosed with Melanoma and other skin cancers. We provide complementary support, counselling and therapy services for skin cancer patients and their carers. 27/2/19 – We have created a YouTube Channel, and are planning to film and upload much more video content! We have recently uploaded an interview with our hypnotherapist Amanda Hope, and hope to upload more soon! 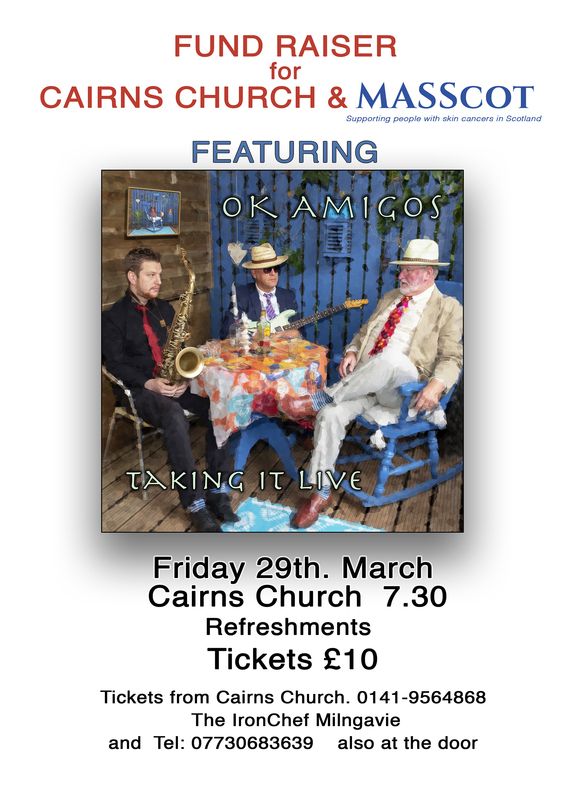 20/2/19 – We are holding a fundraising concert on the 29th March at 7.30pm at Cairns Church, Milngavie. The night will be great fun and feature live music from OK Amigos as well as food, drink and games. Tickets are £10 and will be available to purchase on the door or phone 07730683639 to purchase in advance! This support line is available 8am-11pm, outwith these times please leave a message or email to the above address and we will return your call/email as soon as possible. Copyright © 2019 MASScot. All rights reserved.